You can't just drive any old car in Austin on F1 weekend, right? 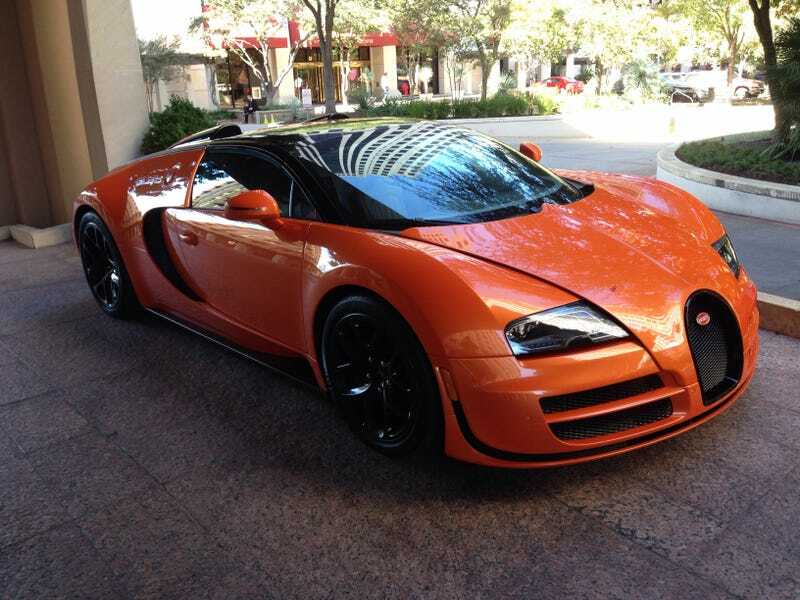 This is a Bugatti Veyron Vitesse. It has 1,200 horsepower and costs about $2.35 million. And Matt and I are about to drive it. Let us know if you have questions and we'll get to them later if we don't accidentally drive it into a bay.